This is 1776 FX’s Multiplex delay PCB/project that I built up. I also coupled it with a reverb circuit to give a kind of ‘Space Echo’ vibe. The Multiplex has three modes; ‘Binson’, ‘EP3’ and ‘RE-201’. The RE-201 mode in particular is massive fun (2 seperate delay lines for some rythmic delay fun). This is undoubtedly one of the best delay circuits I have tried; it just sounds ‘right’ and mixes with the dry guitar tone very well. 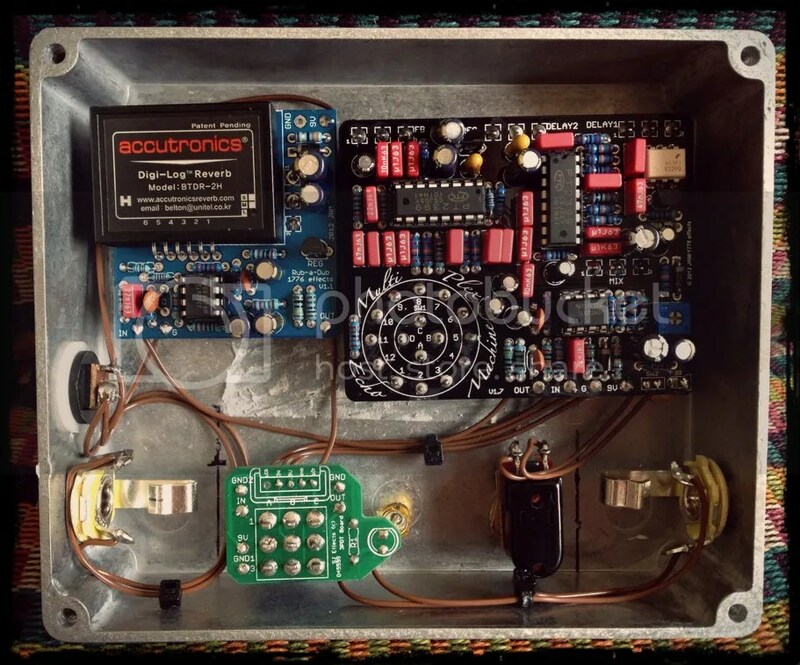 The reverb is based on the Belton Reverb module (as used in the Hermida reverb etc. ), and is a really nice sounding ‘verb. 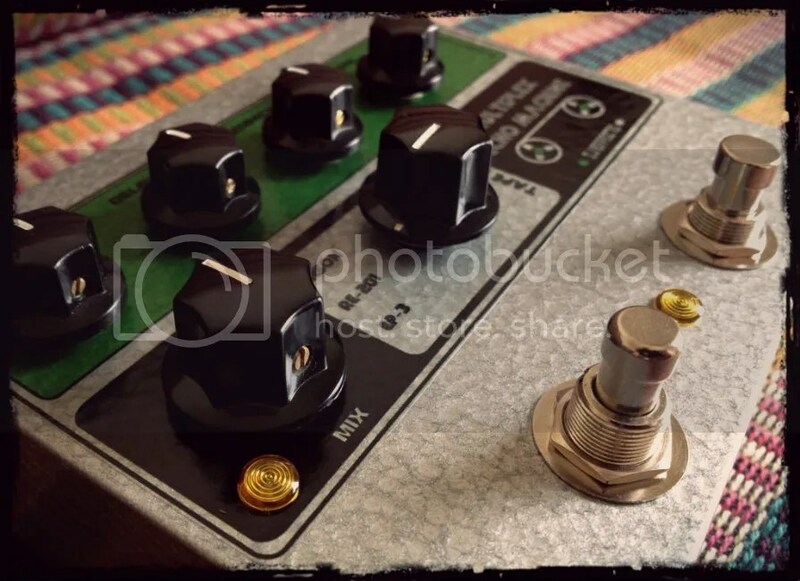 This entry was posted in Uncategorized and tagged custom delay, custom guitar pedals, custom guitra effects, custom reverb, multiplex delay, reverb pedal by sjeffects. Bookmark the permalink. i am looking out for another echo box …any vidio or sound clips of this ? do you sell these to joe public ..i am drooling right now .. Sorry if I missed your comment. I certainly do build these for customers. I will email you with more info. What size box is this? hey ! 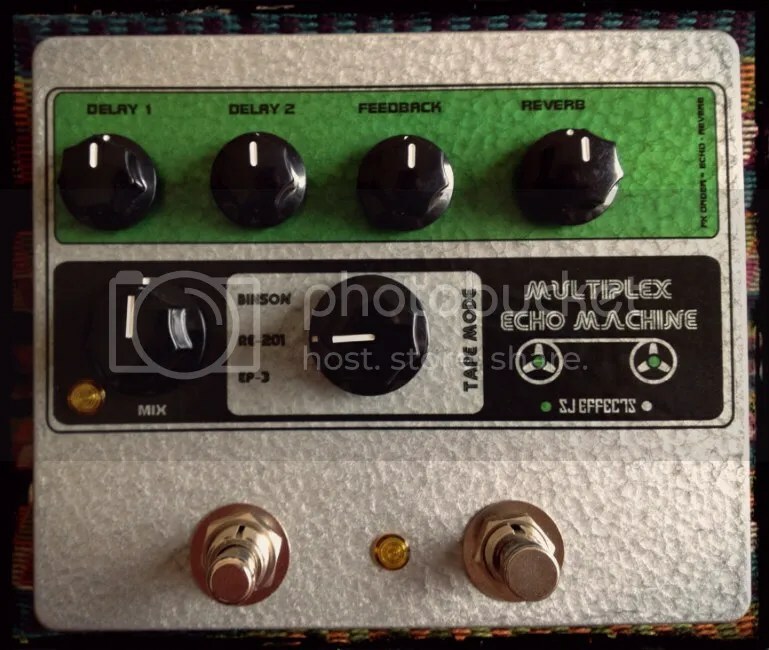 can you send me price for Multiplex Delay + Reverb? !